Florida retirement communities are prolific. You can find communities that suit your lifestyle choices and offer you the features and amenities you seek. You can choose communities that allow you to park your RV while you are not traveling, rent your lot for your manufactured home or have a site built custom home as your permanent residence. You can choose to be on the water or the golf course, near big cities or secluded from the hustle and bustle of big towns. Vienna Square is your only choice for retirement. 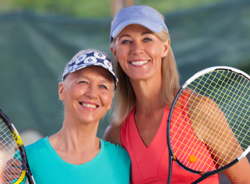 Geared towards the active adult, our community is designed with you in mind. You get the best of all worlds in one of the most exclusive Florida retirement communities around. Located in Winter Haven, we offer secluded style living that is just a short distance to the beaches and the best entertainment and theme parks Central Florida has to offer. 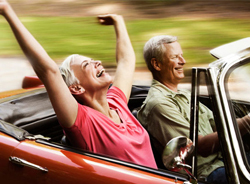 We have reinvented retirement to include all the things you love to do. Our community features a 7,000 square foot clubhouse with indoor and outdoor pools, a surround sound movie theater, a state of the art fitness center and a grand ballroom for parties and dancing. We also have villas and single-family homes for you to purchase. You get to enjoy homeownership without the headaches. We provide maintenance free living, which includes the common areas, your lawn and much more. We believe you should focus on improving yourself and your health and let us worry about the rest. 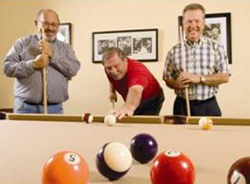 Many other Florida retirement communities do not offer you the range of services and amenities that Vienna Square provides. One of the best features of Vienna Square that you will not get at other Florida retirement communities is our continuing care campus. This gives you the opportunity to enjoy a vibrant lifestyle while you are active and independent and, should your health needs change, you can move within the community to receive the care you need. We offer assisted living and skilled nursing and rehabilitation services right here in our community. If you like your neighbors being an integral part of your life, sharing meals and recreating together, then Vienna Square is the community for you. It is for those who take comfort in knowing there are plenty of helping hands around. We are a real community with real service, real security and real peace of mind. No other Florida retirement communities provide this type of affordable pampering. Now is your time to live worry free and enjoy living and feeling healthy. Visit Vienna Square today or you can request a brochure on our website for more information. 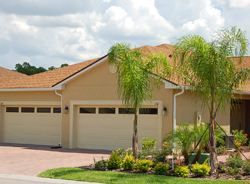 When it comes to quality and luxury Florida retirement communities, Vienna Square is your only choice.